Steps to ensure the sale of your campsite goes smoothly. Ah, the great outdoors. Who doesn’t love packing up the tent or camper and heading to the hills to spend some time among nature? If you’re a campground owner, then you likely have a great appreciation and love of the outdoors. That’s likely what drew you becoming a campground owner in the first place. Owning a campground can provide an opportunity to make a living out of your love for the outdoors while earning a stable and sustainable income. It also provides the opportunity to connect with others who value the same, providing them a beautiful open space to get back to nature. 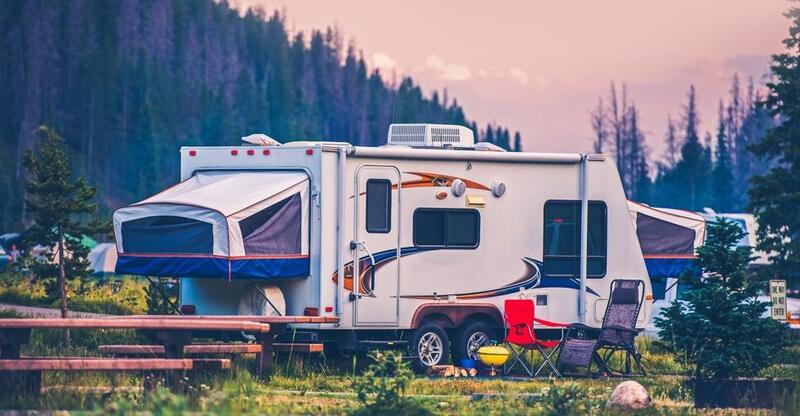 These are just a couple of the aspects that make owning one of the thousands of campgrounds throughout the United States appealing to buyers. If the time has come that you’re ready to sell your campground due to retirement or the desire to pursue a different business opportunity, knowing where to begin can feel a bit overwhelming. Your personal attachment to your business can make it feel even more so. But, by following some important steps, you can remain objective and ensure you’re doing all you need to do to ensure that the sale of your campground goes as smoothly as possible. First off, remember that just like you at one point, there are plenty of prospective buyers that dream of making campground ownership their livelihood. To that end, it can be helpful to reflect back on the things that were important to you when you were looking to purchase. Doing so can help you to get in the mindset of potential buyers so you don’t overlook some of the details that will be important to them as they make a purchasing decision. Beyond that, there are also steps that must be taken in every campground sale. Obtain a professional valuation - Avoid the pitfall of setting your asking price based on an emotional attachment or what you’ve heard other campgrounds are going for. Work with a professional to establish an accurate price. Being able to back this up to potential buyers will save you a lot of headache in the long run. Plan ahead - As is true with most businesses, selling your campground will likely take longer than you think. In reality, it can take up to a year or longer. To that end, it’s a good idea to start planning as soon as you’ve made a definite decision to sell. You can start by focusing on inexpensive and non-time-consuming enhancements that could make your campground more appealing to potential buyers. Tidy up your office and shop, replace worn-out or dated signage, and repair or replace any broken equipment. Make the grounds look pristine by mowing and caring for plants, flowerbeds, and hedges. If your site includes a play or picnic area, make sure it’s in top shape. In short, do anything you can to make your campground’s “curbside appeal”. Get your paperwork and records up to date - The next step in planning includes updating your financial records, customer contracts and other paperwork. This will ensure that they’re easily accessible and can be shared with prospective buyers when the time comes. Buyers will also want to review logs of previous bookings, future bookings and waitlists, if applicable. Consider your timing - Potential buyers are inclined to start looking for campgrounds in the early spring. This means you’ll need to begin readying your campground to sell by late spring or early summer of the previous year if you’re hoping for a sale in the coming year. Waiting to get the ball rolling until three or six months before your desired sale date will likely end in disappointment. Choose the right partner to market your business - While you may know all there is to know about operating a campground, a professional business broker is better qualified when it comes to marketing and selling your business. These professionals possess a strong knowledge of the leisure industry. They also provide the benefit of established connections. They will market your business with discretion so that plans of your sale aren’t made public until you’re ready to disclose them. Determine the level of involvement you desire post-sale - Are you willing to arrange a transition period during which you will teach the new owner all he or she needs to know to take over running the facility? Or do you want operations to transition to the new owner immediately upon the closing of the sale? This is an important detail to determine so that you can set the proper expectation with the new owner from the get-go. Consider the financing options you’ll accept - If you decide that you are willing to stay involved in the transition, you may also be willing to consider seller-based financing. This essentially means that you become the bank for the new owner of your campground. You take the down payment, and you collect the monthly payments from the buyer. This can be appealing to a buyer because it shows your confidence in the business to continue to generate healthy revenue. It can also be appealing because it expedites the selling/buying process and helps the new owner avoid some of the fees a traditional bank lender would charge for document preparation, etc. You’ve put your heart and soul into your campground, so it’s important to exercise the same level of care when selling it. 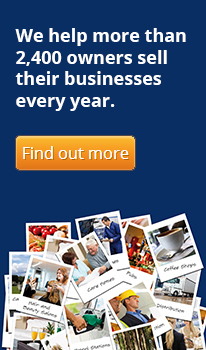 Find out how to list your business for sale.